Are you looking for a place where you can learn and implement some of the latest and greatest technologies? Areyou tired of working for larger, corporate environments and want to be a part of a growing company that doesn’t have to deal with the headaches of committees and upper management politics? Do you want to work for a place that values new ideas from employees? 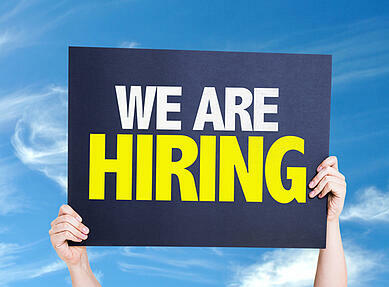 If so, Privo IT is looking for an IT consultant to join our team as soon as possible! Privo IT is a rapidly growing technology services company that helps businesses implement cutting edge technology. This career opportunity will place you directly in a fast-paced and challenging work environment where you will continually increase your knowledge base and improve your skill set by working on a variety of projects. In this role, you will be providing both on-site and remote support for our managed services clients, as well as working on various migration projects toAWS, Google Apps, Office 365 etc. This position is a great combination of both the consulting side and the technical side of the business. The ideal candidate will have between 2-5 years of consulting experiencing in the following areas. Candidate must live within a 45 minute commute of theBostonarea. Candidates outside this radius must be willing to relocate prior to commencing employment. Visit customers in the Boston area when an onsite presence is needed. Implement new technology with the assistance of team members. Identify technology solutions based on analysis of customer support needs. Strong and consistent communication with customers. Documenting work performed and other technical information for our clients. Ability to work from home! If the above sounds like something you would be interested, please respond tocareers@privoit.com with a cover letter that talks about why you would be a good fit for this position, and how you would add value to the company. Responses without a cover letter will be ignored!